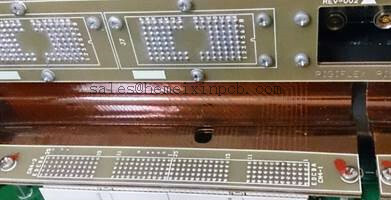 Product categories of Starr Flex PCB Assembly, we are specialized manufacturers from China, Semiflexible PCBs Assembly, Semi-Flex Rigid PCB Assembly suppliers/factory, wholesale high-quality products of Starr-Flexible PCB Assembly R & D and manufacturing, we have the perfect after-sales service and technical support. Look forward to your cooperation! We produce assorted different Starr Flex PCBs and Starr Flex PCB Assembly. A simple construction is one with a multi-layered Flexible Circuit that contains a rigid reinforcement. Although a circuit with thermal connections of single material is often more robust and reliable, these circuits are more extravagant and expensive.